The Minister of Labour and Employment, Chris Ngige, has given more details of the proposal made by the Federal Government to university lecturers towards ending the indefinite strike, saying that the meeting discussed seven issues which constituted the demands of ASUU. “We inherited these issues from past government but government is a continuous process, we have to address them,” he said, as he listed some of the demands and what government proposed to do on each. Speaking on the provision of fund for the revitalisation of public universities, the minister said government has accepted to start quarterly payment into the fund. 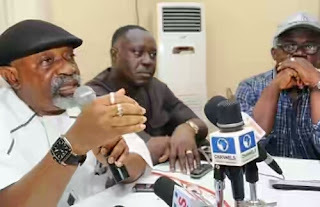 In respect of the 2009 MoU which non-implementation was the core of the grievances of ASUU, Ngige said government proposed to set up a seven-man committee with the union to work out the ways and means for implementing the agreement. He said: “This is without prejudice to the Babalakin Committee on re-negotiation of the agreement”. Regarding registration of universities’ pension management company and pension matters, the minister said a pathway was proposed for registration of the company. On non-payment of salaries, he said government has shown commitment and evidence that payment had started in order to liquidate outstanding sums and allowances. On the issue of Treasury Single Account, he said government made a proposal for the Central Bank of Nigeria to create a separate account for universities, while research grants will be exempted from compulsory remittance into the account. “For issues on state universities and quality of education which concerns everybody, the Minister of Education was mandated to take a memo to the Council of State and the Federal Executive Council,“ he said.